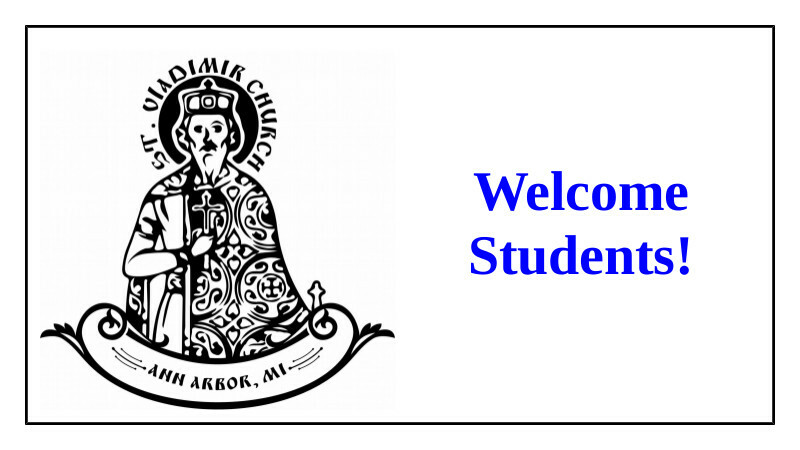 St. Vladimir Orthodox Church, Ann Arbor, MI - Welcome Students! St. Vladimir's warmly welcomes students from the University of Michigan, Eastern Michigan University, and all our local institutions of higher education. Need a ride? Please let us know (info@stvladimiraami.org)! We will be happy to pick you up and bring you to church. Interested in spiritual growth? We have a college age youth group just for that. We realize you might not be here every Sunday. We are good with that! But we do hope you will join us as often as you can! Welcome to St. Vladimir's!